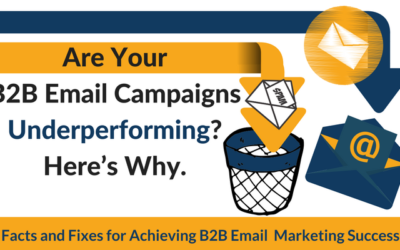 How can ResponsePoint help you build a stronger B2B lead system? Quality, not quantity, is the crucial part of lead generation. Without smart strategy, clear communication and a solid system in place, your sales team may be getting a lot of dead-end leads. 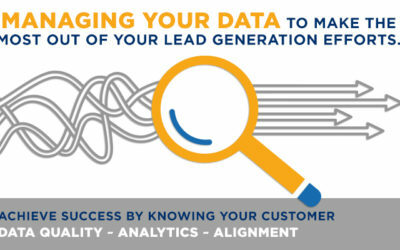 Take a look at how we create bigger, better lead results. New leads become stale very quickly when your nurturing resources are limited. 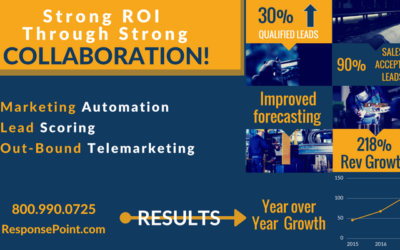 Utilizing ResponsePoint’s proven methodology to identify and refine the leads with the greatest potential, we help your team build a nurturing process that includes qualification, segmenting, cost savings, and more. To build profit, you must build process. Marketing teams often don’t have the resources, experience or bandwidth to manage every detail of a lead campaign. Our tactical marketing services offer expert solutions to help your team’s campaigns hit the mark. When your funnel isn’t functioning optimally, the flow of leads from marketing to sales can be negatively impacted —and so can sales potential. ResponsePoint collaborates with companies to identify what needs to be changed, strengthened, and eliminated. We’re a team of data and marketing experts that take pride in our work— finding and filling in the gaps between your marketing and sales teams. We don’t take on clients; we establish partnerships based on trust, transparency and results. The lead systems we create and implement result in a stronger team, a smoother operation, and more qualified leads. Ready for a relationship you can count on? Request a free, no-obligation phone consultation to see if this is the team you’ve been waiting for.